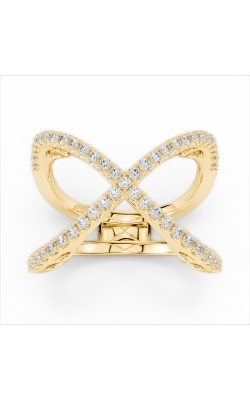 For 35 years, Ital Gold, Inc. has been bringing the highest-quality gold jewellery mountings to its customers. Its daughter company, Amden, continues in that trend of brilliant diamond jewellery for women. Amden brings luxurious combinations of gold and diamonds in each of its engagement rings, wedding bands, and fashion jewellery. With its contemporary vision of vintage trends, you’re sure to find something that wows your imagination. Here at Damiani Jewellers, we’re always pleased to match the right Amden piece with a woman who wants only the finest luxury accessories. Amden has two named collections whose trends are reflected across the different types of jewellery offered by the atelier: the Seamless and Glamour collections. 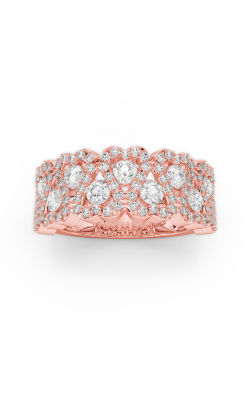 The Glamour collection, which can be found in wedding bands, engagement rings, and fashion jewellery, is typified by unique shapes. Unexpected touches give this collection the ability to turn heads wherever a woman goes. If you’re looking for hexagonal halos, flowers made from pave-set diamonds, or tipped ovals crowning perfect round-cut diamonds, the Glamour collection is right for you. Plus, if you’re interested in coloured gems in your bridal jewellery, Glamour is the collection that contains Amden’s choices of rubies and sapphires. Alternatively, the Seamless collection is named for the brilliant pave-set diamonds that a woman can find in these pieces. The benefit of the pave setting is that it creates an illusion of a luminous river flowing continually between the sparkle of the diamonds and the gleam of the 18 karat rose, white, or yellow gold used to hold them. While most of the diamonds used to craft these handmade pieces are white diamonds, Amden playfully adds yellow diamonds here and there as an accent for the treasures on offer. Plus, if you’re looking for a curiosity like a pave-set sapphire or ruby fashion ring, Amden has something for you. Why Shop for Amden at Damiani Jewellers? For over 60 years, Damiani Jewellers has brought delightful choices in jewellery to the men and women of the Toronto area. Our decades of involvement in the world of luxury jewellery allows us to pick brands like Amden to really impress our customers. In addition to Amden, we’re pleased to be able to bring other brands who specialize in wedding bands, engagement rings, and fashion jewellery, as well as Swiss-quality timepieces. 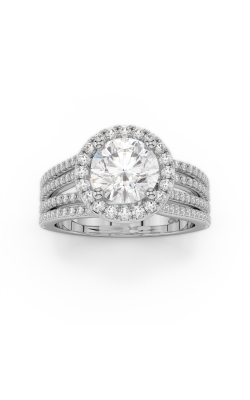 If you’re looking for flawless diamonds, we can also set you up with them. Don’t hesitate to contact us about our white-glove services and jewellery at 905.850.4653 or visit us at our Woodbridge, Ontario showroom!